“Our early results also show there was an inventory buildup from holiday sales in the fourth quarter of 2015." Worldwide PC shipments totalled 64.8 million units in the first quarter of 2016, a 9.6 percent decline from the first quarter of 2015. According to preliminary results by Gartner, this was the sixth consecutive quarter of PC shipment declines, and the first time since 2007 that shipment volume fell below 65 million units. “The deterioration of local currencies against the U.S. dollar continued to play a major role in PC shipment declines,” Gartner principal analyst Mikako Kitagawa said. Kitagawa said PCs are not being adopted in new households as they were in the past, especially in emerging markets - in these markets, smartphones are the priority. In the business segment, Gartner analysts said the Windows 10 refresh is expected to start toward the end of 2016. 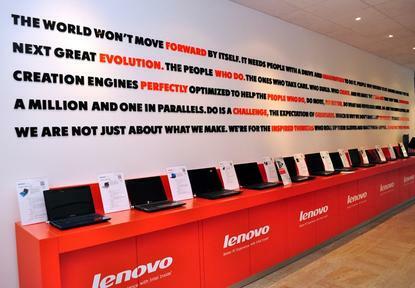 Lenovo maintained the No. 1 position in worldwide PC shipments in the first quarter of 2016 despite a 7.2 percent decline in shipments. Kitagawa said Lenovo experienced a shipment decline in all regions except North America, where the company's PC units increased 14.6 percent from the same period last year. In the last four quarters, Lenovo has showed double-digit shipment growth in the U.S., while the overall market has declined. HP was split into Hewlett Packard Enterprise and HP Inc. at the end of 2015, and HP Inc.'s first quarter indicates the challenges the company faces in the PC market. HP Inc. has said it wants to stay away from low-profit segments, and the first quarter of 2016 results reflect its efforts to emphasise high-end sales, which cost it shipments. Dell's worldwide PC shipments declined 0.4 percent in the first quarter, which was much better than the global industry average. Kitagawa said Dell shipments increased in North America and Japan, but shipments declined in EMEA, Asia/Pacific and Latin America. Locally speaking,Asia/Pacific PC shipments reached 23.3 million units in the first quarter of 2016, a 5.1 percent decline from the first quarter of 2015. Kitagawa said the ongoing fragile Chinese economy and weak global demand continued to dampen consumer sentiment in the region. “With high PC penetration in the major cities, it was a challenge to invoke PC replacements on the appeal of new technology,” Kitagawa added.